SMALL BUSINESS SATURDAY WELCOME STATION GIVING AWAY 200 - $100 GIFT BAGS! It Pays To Shop Local! Business Community Teams Up With Councilmember Ward to Promote Small Businesses! Who: The Hillcrest Business Association is kicking off Shop Hillcrest For The Holidays with a Small Business Saturday Welcome Station. Councilmember Chris Ward will officially kick off the Holidays with Santa, and Cheer San Diego. Shoppers and media are invited to attend for a welcoming speech by Councilmember Chris Ward to rally and encourage shoppers to support local businesses throughout the neighborhood. What: Small Business Saturday encourages people to shop at small businesses on the Saturday after Thanksgiving. This single day has grown into a powerful nationwide movement, and more and more people are taking part than ever before. Please come out and support small businesses! Shop Small, Shop Local on Saturday, Nov. 25! 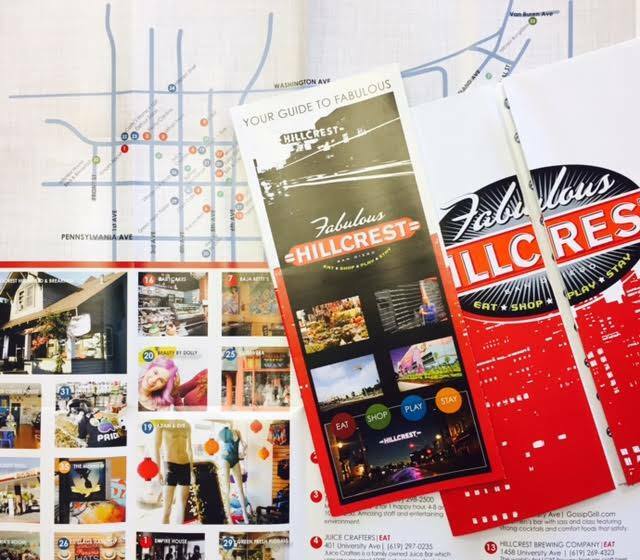 Shoppers who present a receipt showing they spent $15 or more at any local Hillcrest business will receive a free Shop Small gift bag filled with over $100 in gift certificates and giveaways to local Hillcrest businesses. Gift cards contain free hair and beauty products, free meals at local restaurants, free drinks at local coffee shops and bars, free beauty services including eyebrow threading, facials, and more! Join us! Help us promote Small Business Saturday by participating in the #ShopSmall Welcome Station! When: The Shop Small Welcome Station will be open from 9 AM until 4 PM. Gift bags will be distributed while supplies last. Where: The Shop Small Welcome Station will be located at the corner of Fifth Avenue and Robinson in the Rite Aid parking lot. Rite Aid is located at 535 Robinson Avenue. Why: The national Small Business Saturday campaign was launched by American Express in 2010 to encourage people to support small, local businesses in their communities on the Saturday after Thanksgiving. On this day, participating businesses promote special offers, events, and in-store promotions to attract holiday shoppers or others who are looking for services. The Hillcrest business community is promoting itself through its Shop Hillcrest For The Holidays and its Taste ‘n’ Tinis annual events. The Small Business Saturday Welcome Station will have neighborhood information, and will also be selling tickets for Taste ‘n’ Tinis.